Design Thinking in 4 Simple Steps that are Complicated. Four years ago, I went from being a lead designer in a product company to be a manager of the UX team. I started to divide my time between ‘doing the design’ and everything that went in to that, to making sure and motivating others to ‘do the design’. My role developed into more of a coordinating function. In addition to this, one had to make sure each designer delivered at a uniform quality level (more or less). The more I thought about this, the more I found myself discussing what the appropriate level of UX quality was for each product and the business. Turned out this definition was different for different groups of people. Leading a group also means you need begin to consider growing the team and I started thinking in terms of ‘value for the company’ in relation to UX. Having worked with UX for some years the value for me was clear, but now things had to be articulated in terms of organisational value. Explaining UX to persons that had their own definition was challenging and frustrating. The company expanded shortly after I became manager and we grew to include two more products with their own development teams, this time located in the US. At the first few meetings with them, I described how we have integrated UX into our organisation. I had purposely promoted a very ‘loose’ process for the UX work. The UX team uses a ‘federal’ organisation where designers are integrated into each product team but solutions are usually developed through UX team collaboration. Do you think this is the most effective way of organising things ? After a minute or so, I answered ‘yes’, but wasn't really sure of my own answer. I spent the next couple of months discussing this with people in other organisations in Sweden trying to find some answers. Surely someone else had asked these same questions as me ? How where they organised ? How many of them worked with UX ? Was this effective ? What activities did they work on ? How did the organisation view their efforts ? How did the UX team demonstrate value ? I saw a lot of commonalities but just as many differences. It seemed to ‘depend’ on many different issues and who you talked to. Around the same time, I noticed a shift on social media and UX conferences — a shift from the discussing the craft, tools and methods of ‘doing the design’ to coordinating and managing the design. UX was growing up and this was a good thing. The discussion shifted from ‘getting a seat at the table’ (personally I believe in bringing your own seat) to figuring out what we were going to do once we got there. Although I love reading about all of the all the ‘design lead’ organisations that exist in the world, the numbers indicate that there is a very large group of organisations that are not nearly as mature as these stars. How were these organisation creating a business impact with their UX efforts ? Were they ? So to get a wider perspective, I decided to ask some more people. 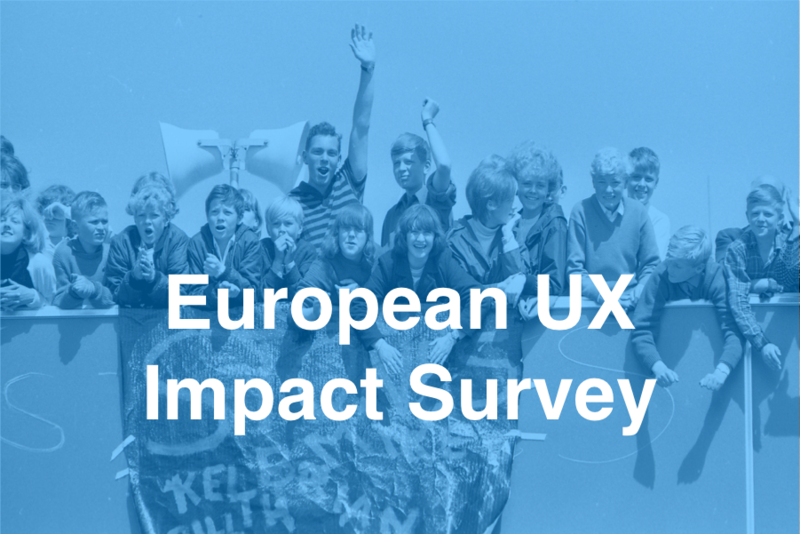 To do this I created a (short) survey on a European level around UX impact within organisations. This includes UX team organisation, UX activities and how UX influences certain business metrics. If you have a moment, give it a look. Thanks. A very large thanks to James Royal-Lawson, Per Axbom and my own UX Team for their support in creating, editing and analysing the results of this survey. I am upset…and sad, and UX is to blame. I recently read a blog post How bad UX killed Jenny that described the tale of ‘Jenny’, a young cancer patient undergoing a very toxic type chemotherapy treatment. The treatment was so toxic that she needed to be pre and post hydrated to ensure the the chemicals left her body after each treatment session was done. If this is not the case, certain internal organs will shut down from toxicity. I read this post intensely, and as I read each line I got a strange feeling deep in my stomach. It was way too familiar. This is partially since Jenny’s story is my story. Over ten years ago I was diagnosed with bone cancer in my left leg together with lung metastasis. After a lung operation to remove the metastasis I was given and extremely strong treatment of chemotherapy. It was much like ‘Jenny’s’ treatment described in the post. Reading this brought back a flood of memories. The over 25 intravenous units I received over three days of treatments, the careful measurement of liquids into my body and the chemotherapy drugs. The drugs were so toxic that the nurses that administered them wore protective smocks so as not to damage themselves. All liquids were measured as they went into my body and when they came out. Balance had to be maintained. I had great nurses and I remember that three nurses needed to verify the dosage of drugs before they could be administered. Why ? I never even reflected why it was three at the time. Standard I guess. I realise now, this was partially to ensure they were administering the drugs and interpreting the dosage machines correctly. I am sad not because the healthcare system failed, or the doctors or nurses did not do their jobs(who were super), or the machines themselves that broke: but where the machines interacted with the people they were designed to benefit. The interface: that point of connection between the system and the user that seems so simple to create, but in reality is likely the hardest part to do well. That is what failed. It destroyed the entire process for Jenny. We need to stop this failure. There is a lot to do, hospitals and other institutions that care for people are using systems that have poor usability and lead to errors and human stress. Jonathan has some good practical advice for UX designers to make a difference, but I appeal to the industry as a whole. The next time you read a tech blog post that highlights a groovy new app or cool service we need to ask ourselves. Is this the best use of your UX superpowers ? Lets be honest we probably wont miss all the ‘likes’, or tinder dates, or even checkin points, that these services provide very long, but we just might miss our own lives or those that we care about. Alive and kicking, fighting the UX fight. PS: And thanks to all the nurses that checked my dosage machine. Recently I had a discussion with someone in my company. I was talking about the our team and how things we going, and the challenge of all of these new things we needed to work on. I said we needed to structure things better because there were so many unanswered questions we needed to address before we began a design. I was taken back at first. Asking question was a critical element in my definition of doing a good job. How could anyone question this and get turned off ? After giving this a good bit of thought I realized that asking questions can go two ways. Too hard - and you create conflict ; too soft - and you dont get the details you need. I asked myself the question: 'Why does asking questions create so much resistance'? I had realised long ago that, even the best intended questions of are not always interpreted this way. This often leads to frustration and conflict (I have the bruised ego to prove it). Questions challenge authority and disrupt established structures, processes, and systems, forcing people to have to at least think about doing something differently. These challenges are often viewed as criticisms. In business, as well as our personal lives, results are what counts (outwardly anyway). Questions are often viewed as delays in the way of progress and stop the group from 'moving forward'. The risk here is without such questions, the group often acts out of habit - moving forward with an idea that was used before. As things become more complex old solutions become less and less effective when we face new challenges. New thinking is required more frequently. Our present Western culture generally doesnt reward not knowing. As experts we are expected to deliver answers not more questions. In our culture, not to know is to be at fault, socially. If you ask a question and that person doesnt know the answer they (and others as well) can view themselves as failures. Questioning often has an inverse relation to expertise - such that within their own subject areas, experts are apt to be poor questioners. As a side note: This is one of the reasons I encourage all of my adepts to adopt the 'Mind of the beginner'. So how can we get better at this ? The challenge is that we have never been taught this in Western education. Instead, students are encouraged (and tested) to know 'the answer' to a question. Rarely is the process reversed allowing people to explore and ask questions. Since the my initial conversation our team has started using two main methods to ask better questions and facilitate a conversation that has proven to yield some good answers. When a new challenge comes into the team, there are immediately quite a few questions that pop up in the members heads. This usually creates confusion and frustration. Instead of immediately jumping into answers to these questions I think it is important that we take a step back and insure we ask the 'best' questions we can first. To do this we have used an adaption of the 'Question-Storming' technique developed by the Right Question institute for some time. The RQI is a non-profit organisation who's goal it is to educate people (emphasis on students) on how to ask more effective questions in their lives. Question storming is a variation of brainstorming where, instead of brainstorming ideas (solutions) to a problem, participants generate questions instead. Questions are usually viewed as less fixed and peer pressure is typically reduced. Since we are trying to develop the best questions we can around this issue, we try to limit the number of closed - ended questions - those that can be answered with a 'yes' or 'no'. Instead we try to develop moreopen-ended questions - those that demand more of an explanation. At this point we usually have a quite a few questions. So to not overwhelm people we generally divide this question into groups - immediate, those that we feel are the most important and secondary, those that can be explored later or that we expect to get an answer later in the process. I have found the asking of questions (or more importantly getting to the information of the answers) is much more effective in the context of a normal conversation. This avoids the feeling of a 'inquisition' which tends to put people on the defence and makes the exchange more natural. For the last year I have been using a modified version of the Experience Map from Atlasssian (huge thanks), which uses some of the themes of Lean UX together with the Business Model Canvas to facilitate these conversations. I found this to be a good framework to have a conversation and often results in holes in our knowledge that needs to be filled before we can continue. Problem – What triggered the hypothesis? How was this identified ? From PM's ? from Customers ? Are we solving the right problem ? Do we need to investigate further ? Personas – Who will use this solution ? Will this differ from our present user personas for existing products ? Stakeholders – Who is genuinely affected by this solution and should have a say. Who needs to be informed ? Team – Who can deliver this solution? Will this fall into one of the existing Product teams ? Does a new cross team group need to be created ? Idea – What are the early thoughts and options to solve the problem? Careful not to jump to quick conclusions. Value – What is the user benefit and business benefit for your solution? End-to-end demo – Tell a story to bring this to life, using anything from role play, sketches, story board. Very often we will use Story Mapping to explore and visualise this. Test results – How will you judge the experience you’re setting out to provide? Qualitative or Quantitate testing ? how ? Here is a download of the my Experience Map - have fun. I am pleased how these tools have allowed the team to ask better and more effective questions. I have found that this can be used in a number of other areas as well. 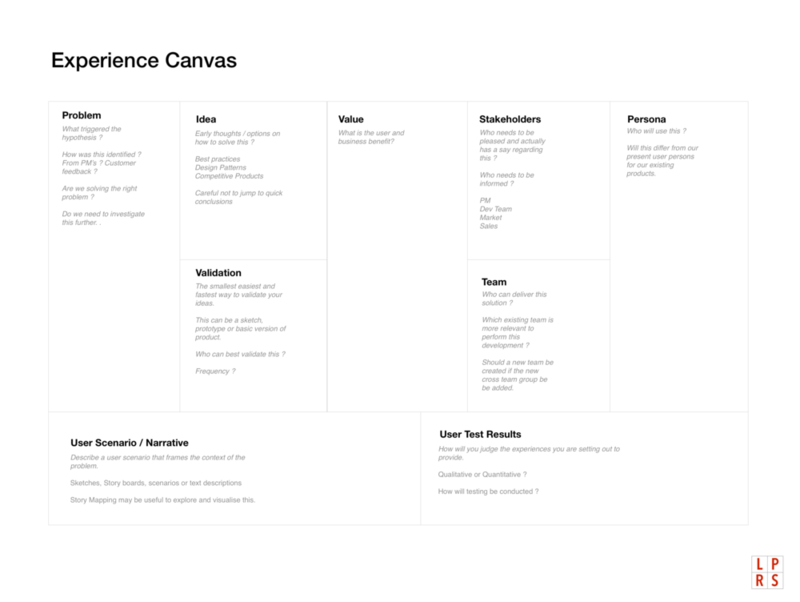 These question, together with the Experience Canvas, I hope will lead to a better start to your designs. This post is a continuation to my previous post Thoughts from a UX mentor (part 1). This will list will likely grow. It is never going to be perfect - get used to it. As much as you want, many of your designs wont be perfect. There wont be enough time, or budget, or the stakeholders are difficult and want it their way. This is hard for someone that has invested a lot of time in solving a problem, only for the solution to not be fully appreciated. The navy seal Adm. William H. McRaven sums this well when he describes the ‘sugar cookie’ part of Navy SEAL training. Sometimes your designs will be a ‘sugar cookie’ . For me mentoring has been a great way to see things from a new (and younger) perspective and reflect over what I have learned in my career. Mentoring allows me, through the explanation of concepts to another person, discover gaps in my own knowledge (which turns out to be many) and a way of filling them. Some years ago I discovered the work of Richard Feynman. Feynman had a gift for explaining science that was extremely effective. Feynman also developed a way of teaching yourself new concepts the I have found myself coming back to during mentoring. Step 2. Pretend you’re teaching the idea to someone else. To do this, I need to take the perspective of teaching a new adept. When you explain the idea this way you get a better idea of what you understand and where you might have some gaps. Step 3. If you get stuck, go back to the book or source. Whenever you get stuck, go back to the source material and re-learn that part of the material until you get it enough that you can explain in a way an adept would understand. Often times this a book but frequently this also includes conversations with other UX persons. Step 4. Simplify your language. The goal is to use your words, not the words of the source material. Generally if I find myself using large words I probably dont know it well enough and need to go back - simple language is the key . By encouraging adepts to pass on what the know they are are developing themselves and helping others on their on UX journey. For the last few years I have been a UX mentor to some great adepts in Stockholm. When I was first asked to do this I accepted without really reflecting on what being a mentor meant - I have never had an official mentor myself but was just happy to help. I have found the experience to be extremely beneficial as well personally challenging. During our meetings we discuss a very wide range of subjects that may or may not fall under the definition of UX - design solutions, UX trends, internal organisational politics to the design of restaurant menus. Through all of this I have noticed that many of these discussions tend to settle around a few major themes. Below are some of these themes together with some my thoughts on the subjects. UX is a team sport. Gone are the days of 1-2 person teams. As technologies cover more and more touch points the teams required to develop these solutions increases. Most digital products are far too complex for a single person to know everything (avoid people that say that they do). The more complex the problem we work on gets, the more complex the way we work gets. As a UX designer you will need to lead by example and listen and understand these other perspectives. Collaboration is working together to yield products, not simply creating ideas. These products are also better then what can be produce by any one person. A group that collaborates has the ability to consider more perspectives and to actually produce the resulting complex products. As UX designers we need to understand the mindset, tools and culture that cultivates collaboration. The earlier you learn and practice these skills the more effective you will be. Once you start to collaborate you will realise this isnt so easy. One major big problem is that people really dont know how collaborate very well. People often have different perceptions of what defines collaboration. Some people will refuse and sit with their arms crossed while others wont be able to keep quite at all. To make any progress you will have overcome these differences and improve how groups work. Facilitation is when you help group of people explore a problem. The exploration can involve a final solution or a discussion that increases the understanding of problem for the future (often times both). The idea is not for facilitator to do all the heavy thinking but instead learn to be ‘the quite servant’ and step aside and let the team decide. It is making the journey to the solution or future state, more effective. Designers must learn to take on new roles and facilitate the exchange of ideas between different areas of expertise in order for this to be effective. Maintain the beginners mind set. an expert is a man who has stopped thinking because ‘he knows. 2. Beginners are open to learning from anyone, not just experts - everyone has something to teach you. Look closely. 3. Beginners make a LOT of mistakes, because they are open to trying new approaches - new approaches are what lead to innovation. Dont forget that. Beginners are lifelong learners and that is exactly what a designer should strive to be. All I can say is stay tuned for Part 2. More to come. Anyone that knows me, knows I am a large proponent of User Research in the Product Development process. Meeting Users is the single most valuable activity any product team can do. Period. I am lucky since I work with a great team that values User Research as much as I do. In most cases when we research I always have the 'my' PM and Tech lead join me. We have been doing this for some time and I have never reflected over it. I view User Research as something every member of the Product Team should participate at some point. The more knowledge about the users that the team has the better the end results. I also find when these different roles participate in the research everyone view things with their special filter and biases. No single perspective is completely correct, but together they (hopefully) balance themselves out. I recently listened to a podcast with Peter Merholz where he stated that the ‘User Research’ function should reside in the Product Management team (min 13:45). In principle, I agree with this, but feel it depends on the UX maturity of the organisation. The less mature the organisation the less likely this will happen. It isnt until the organisation reaches the 'Design as a process' or 'Design as a Strategy' (using the Danish Design Centre’s Design Ladder) that they are equipped incorporate a generalist User research role. Based on the PMs that I have experience with, it is matter prioritising their time and User Research is something that takes time. I also believe this type of research takes time to learn and perfect as a skill. This happens through practice and I believe to do this well one needs to concentrate on this. 1. Aim for PM’s to attend as much User Research as possible. 2. User Research should be facilitated by a UX researcher or designer. 3. Probably the most important. After each research session have a debrief meeting in order to summarise learnings, draw consistent conclusions and discuss resolutions. 4. Finally spread what has been learned to a wider audience. I have a confession to make. I sometimes get lost in Agile projects. I understand the Agile philosophy but from a design perspective I find it lacking. Very often, I miss the ‘Big picture’. Looking back, I have done many good designs that have ended up being realised as a bit of a 'Homer mobile' in the end. I blame myself, but the system has played its part. In internal discussions, I find myself saying ‘shouldn't we define this more comprehensively first ?’. ‘Who is this for and what problems are they solving ?’ and eventually the word ‘requirement’ will slip out of my mouth. At this point someone will point to me and scream ‘Heretic’ and run away shaking their head mumbling something about Waterfall and the Agile manifesto and the conversation will end. Recently, I have been reading Jeff Patton's new book Story Mapping and really cant recommend it enough. Jeff reviews a lot of great methods in the book (LeanUX, Design Studio etc.) but the central theme is Story Mapping. I have spent the last month experimenting with this method and am extremely happy with the results. Some background: Within our organisation, we have been working theme that includes a set of features that will deliver value but needs to work across multiple projects. The technology and the UX needs to be consistent across these three products. All products are maintained by different development teams and different PMs. The challenge has been to follow the UX and technology development across these products and User Stories. The basis for Story Mapping is the telling of a story of a user. In this story, the user uses a product or system to solve their problem. The telling of this story, will allow people working on creating this solution, to have the same understanding. Lets imagine a future. Lets assume for a minute that this system is live and let’s talk about a day in the life of someone uses it and start telling the story. This story, will allow people working on creating this solution, to have a discussion. Through this discussion they will define the scope of the solution (big picture), develop the same understanding of the major goals and find any weaknesses in their thinking. In order to align this thinking and so we could tell a good 'what if' story I felt we need something more. To facilitate, this I chose to use another UX tool: the Story Board. In this case, I worked with the PM teams to develop a Story Board that described what the system would do to solve the user problem. I centered the Story Board around the ‘Job to be done’ principles. I have found this to be a really effective way of defining the user problem. Overall I am super pleased with this discussion and the resulting Story Board. The aim of Story Mapping is to tell the whole story - so the first priority is to concentration the breadth of the story and solution. For practical purposes we needed to have two meetings (2 hours) for the entire Story Mapping session, but ideally it would be better to do it in a single one day meeting. To do this I used the Story Board as a guide and had the team do a 10 min session of silent brainstorming. During this session, the group used the major Activites of the Story Board and to consider steps that would go into each of these Activities. After 10 minutes the group presented their steps and these were grouped under the appropriate Activity. This was a very good discussion and some new Activities were discussed that added to the width of the Story Map. At this point the team was pretty satisfied with the breadth of the Story Map. During this meeting we now dug into the details of each Step the respective Activities. What are the specific things they would do here. What are the alternative things they could do. What would make this really cool. What happens when things go wrong. I had the team do silent brainstorming then post their ideas under each Step individually. Each person then presented their idea and thinking to rest of the group, followed by a discussion. Once each person (6) posted their ideas we had a discussion within the group. We consolidated some of the details and placed them in a of prioritisation, the higher priotitised details closer to the top . The end result was a quite large Map that outlined the entire solution that would guide us through the development. A well discussed common understanding of what problem we were solving and how a user would solve this with our solution. A clear image of what each Product needs to contribute to the solution, and where these connection points needed to be. This was extra-valuable in our context. A scope that made the Interaction Design much easier over the entire flow of the solution. A large number of holes in our thinking were uncovered. 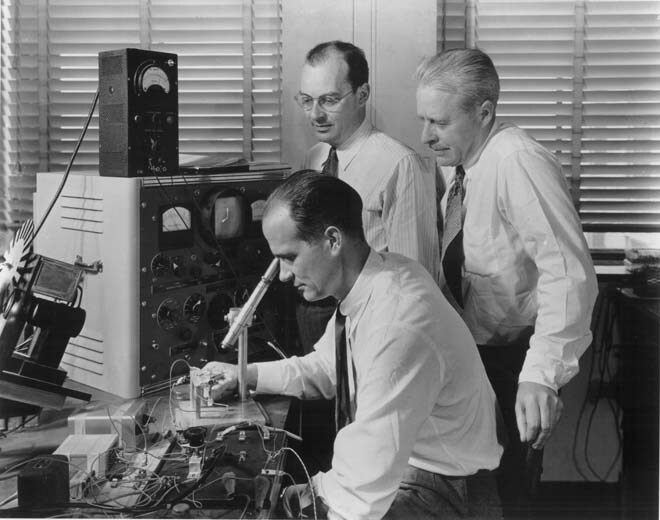 Numerous technical challenges were identifued that would need further investigation. We should have done this some time ago. I am glad we did these session now but really felt this type of session is the most valuable when we start a development effort. Definitely more appropriate in the initial Discovery stage of a project. Finally, I would like to thank Jeff Patton for a comprehensive well written book. Eating Dogfood, and learning to like it. Recently I have been eating dog food. I found it had a frustrating first taste, but was nourishing in the end. The expression ‘Dogfood’ generally refers to a scenario when a company uses its own product. ‘Dogfooding' is a way for a company to demonstrate confidence in its own product and from a UX perspective to test the usability of the product. In my UX team I have the good fortune of having members that work with documenting the products and creating education courses we offer for these products. They are involved in the design process and document the product as changes are made. During the documentation process, they need to take the perspective of the user and explain how things work. We try to develop training courses shortly after or when significant changes to the product are made. If you have ever had to give a course on a subject you know you are required to know your subject matter very well. If you dont, you really cant explain it someone else. In this case, the exposure to trainers and other ‘super user’ users that are far more crtitical then more typical users provided some very good testing early on. Lets face it, Dogfooding also builds credibility with your customers: it shows the world that the company stands behind what it makes and what it does. It is the equivalent of ‘putting your money where your mouth. I also think this is a very important quality for a design team to have. By using your own product you gain common experiences with your customers. This allows designers to see the world through their eyes which is the only world that really matters. The added benefit of working with trainers is that you also see the product through there ‘pedagogical eyes’. After all, if if you cant explain a product that is supposed to be designed well, there is more work to do. I am very glad to have documentation and training persons involved in my UX team and that this type of is a regular part of the design process. 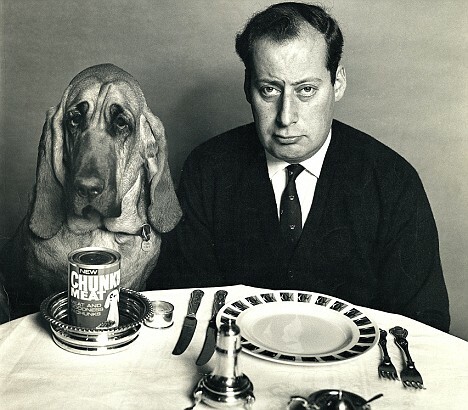 Furthermore if you can get used to the taste, I view 'Dogfooding' as a valuable complement to User Research in developing a better understanding of how the user perceives your product. For the third summer in a row I have suspended my Facebook account. At the same time I eliminated posting to Twitter, Linkedin ( Admission: I was involved in some interesting heated discussions regarding Design Unicorns ) and Instagram ( I do have a lot of shots saved for later). I need less distractions, digital distractions. Part of the break was to document what I actually did and get an idea of what the tradeoff has been. Granted some of these things may have done in part otherwise, but nowhere close to this the list below. I think the biggest difference I noted by eliminating social media was that things slowed down considerably and has allowed me to have time for focus, reflection and reading. Good things, basically. And it didnt cost anything. From reading this book, I got the tip of another book Mindset, which I also found very interesting. The discussion of Growth and Fixed mindsets was spot on and I recommend this book to anyone with school aged children. I didn't completely make it through On Looking: Eleven Walks with Expert Eyes. An entertaining book about how to 'see' the world around you by following experts around one block in NYC. I watched this great documentary about NYC street photographers Everybody Street that I can highly recommend. If you like Italy or Steve Coogan, or both, the film A Trip to Italy is worth watching. In preparation for M and my trip to California I re watched Sideways - great movie. Nice description the visual aspect of Design - The Perception of Design is How Something Looks. This is something that comes up in my work on a daily basis. I thought this was interesting read about restaurants and how they use psychology to manipulate customers. Since I had taken a break from most social media I thought this view of what different social media platforms does to you as a person as telling. I can agree with a large part of what the author says. The Men Who Made Us Spend - This compelling three part BBC documentary explores the fears we've always had about consumer culture. M and I tried to be active during this month and the super Swedish weather helped in this regard. After visiting Rosendahls trägård on the way back we had a spontaneous dinner at Oaxen Slip on their outdoor deck. Oaxen Slip is, in my opinion, one of the best restaurants in Stockholm at the moment. Visited some very good friends at their summer house on Muskö in the Swedish archipelago. Visited Per Axbom twice at his wifes summer house in Bro. They have an incredible deck and are generous hosts. So there you have it. I will definitely repeat this next year. In the previous post I wrote about what Design Studio was and wasn't. I wrote that it was ‘Not a Verb, but a Culture’, and since then have been thinking about Culture and how to change this. Culture is a complex, and living in another culture myself then the one I was born in, has given me a great deal to think about over the years. To me culture is something that develops as a result of a set of common beliefs and practices. Shifting culture comes down to constant communication of your beliefs, setting good examples and highlighting positive outcomes. I also believe shifting culture, like making any change, requires time. While implementing Design Studio in our development process our team has worked on improving UX understanding and building a culture around this. This has been a symbiotic relationship in that the use of Design Studio plays a large role in this culture shift. A UX belief is a shared point-of-view. Working with a central UX team, buy-in is extremely important for success. Our UX beliefs are reinforced and demonstrated through processes, design approaches with members outside the UX team in the product development process. So what are our beliefs ? Secondly, our always team strives for a high level of collaboration both within our group as well in the product development teams. Design Studio is a large tool that we use in this collaboration. We develop complex products and collaboration insures good designs and effective communication with all roles in the Product Development team. A set of beliefs will remain an abstract philosophy, until you put them into practice. In order for remove abstraction you must make your beliefs real and actionable. To do this you must go through an exercise of defining your Design process, guidelines and outcomes. 3. Communicate your story and share your knowledge. Once you have documented your philosophy, beliefs, and process, you must be able to tell a story about your practice and benefits. Depending on your organisation and the amount of technology focus, your UX practice will likely operate in a different way. Stories uncovered from research about real users interacting with our products and how this relates to the UX process is a good way to do this. Although we don’t have our own room all team members are encouraged to post recent designs on the walls to demonstrate where we are in the design process. In our case we also have a Yammer network that is used frequently to post images, wireframes and prototypes for feedback from persons not located in Stockholm. This has proved very effective in spreading our message. Once presented, and internalised by others, the beliefs and practices will form a culture. Hopefully this will be a shared "practice-able" culture. I will let you know how this goes. A full week since the Lean UX 14 conference and I finally have the time to reflect a bit. It only took a few sleep-ins, Easter holiday food and some red wine for my brain to contract back to its normal state after the stretching during the conference. All of the keynotes were excellent and I found myself making notes of some new books referenced to add to my reading list. Here are some of the books I noted, either directly from the presentations themselves or from the conversations between sessions. I am sure there were many more from the different workhops that I did not attend, so let me know of any recommendations you have. For now, this will add to my never ending reading list. Thats a good thing, right ? I can't imagine designing without making [physical products], I love making prototypes. We go right from idea to prototypes. I just love making objects. Prototypes create this dramatic shift in the conversation - suddenly it becomes tangible and the silence goes away. New models create new markets, but they’re often misunderstood at the outset. Stupid checkins reshape how we explore and experience the real world. Prepaying for tick tock watches reshapes financial markets. Silly status updates spark revolutions. And grainy glitchy video calls cut into the commercial air travel. Over the last few years I have found myself, more the once, saying things that make me stop and think - 'Whoa that is something my father would say'. I began to realize that much of my design and general 'creation' methods and philosophy comes from my father. My father would not call himself a designer, although when asked what he did at work, he usually responded 'making stuff'. I always found this statement a bit odd and couldn't really relate from my childhood imagination of what fathers actually did at work (this was equal to TV dads). It wasnt until much later that I realized - together with my own desire to create something - what he meant and appreciate certain experiences. My father exposed me and my brothers to technology at a very early age, as well as gave us ample opportunity to build things on our own (read:blow-up) - model rockets, hot air balloons (too small for people), RC airplanes, computers - you name it. When I was a bit older we were exposed to carpentry, homebuilding techniques (from reading monthly issues of Fine Homebuilding and Fine Woodworking magazines) and architecture. My father also exposed me to all things Japanese. It started with a few bonsai trees and progressed to a full scale Japanese garden in our backyard. This combination of technology and aesthetics has been a powerful combination for my future. My father read (and still does) constantly. I have many fond memories of my Dad reading in the evenings, at the beach, in airports - everywhere. My father also read everything. No matter what book or magazine he found laying in front of him he would read. It was almost that we couldnt help himself (I have the same habit). This resulted in him having a rather wide area of knowledge, that really is an asset when designing solutions. Some of my truly best design solutions are ones that I developed while reading magazines about subjects I wouldn't normally be interested in. True innovation occurs in the combination of previously unrelated ideas and reading is a good way of exposing yourself to these ideas. My father is now, after retirement, a full time carpenter. I have watched him through the years build furniture that has become more and more complex and elegant. Each project demands planning and due to the work and cost involved, a good way of minimizing risks and avoiding mistakes. Enter prototypes. If my father was making a large piece that involved new techniques he would often make a prototype with less expensive wood. This allowed my father to learned from the process, modify techniques or change the design without breaking the bank. In the digital world, I have found prototypes an excellent way of testing to see if a solution is effective in a low(er) cost format. If my father wanted to learn how do something, he read about, then gave it a try. He wasn't very big on calling in an 'expert' to do certain projects if he was confident he could do it himself. He succeeded many times, and seeing this has given me the ability to try things myself I may not have considered otherwise. One of the things about designing things digitally is that many of the technologies you can try yourself. There is usually a blog post or tutorial that can guide you through the most difficult technologies. By doing this, you learn what is involved in realizing an idea digitally and also the value of experts in these areas. I remember going into by fathers shop looking at all the different tools in amazement. My brothers and I would begin to make basic wood 'objects' and realize we didn't have the skills or knowledge to do what we wanted. My father would take out a strange looking tool that could perform the task easily. 'The right tools makes things easier' he would say. When designing things, using the right tool, can make all the difference. Editors Note: The opposite can also occur. I have developed some good design solutions using the completely wrong tool. It took longer, looked rather bad, but was a good solution. Thanks to my brother Brian for inspiration and ideas for this post. The last few months have been a very intense time as I have recently changed jobs. In my new role, Interaction Design is a critical part of the job description (yeah) but this has put my personal UI toolbox to the test . Over a series of weeks, I tried to expose myself to as many UI design solutions as possible. During this search, I have uncovered a large collection of some really great sites that I would like to share. In order not just to flood my senses with design solutions and improve recollection for the future, I started a notebook of highlighted UI solutions. Actually, it started a few doodles on scraps of paper, but it soon graduated to it's own notebook. The method of documentation is simple, for each new resource I discover, I choose at least 3 solutions that I find interesting or relevant. I study each solution, then after a few minutes, sketch the UI from memory. For me this, this works well for internalizing the UI solution in my brain for future recall. Occasionally, I have redrawn the UI slightly different, or how I remember it, transforming it into something different. UI-patterns.com is a large collection of design patterns for UI designers to gain inspiration from. The site allows users to keep sets of their own (publicly accessible to site visitors) so that you can see other UI design pattern collections. Welie.com has an interaction design pattern library maintained by Martijn van Welie, a Ph. D. graduate in Human Computer Interaction who now works as an Interaction Design Senior Consultant for Philips Design. The library features a ton of design patterns involving various site tasks such as navigating around a site, searching a site, and basic interactions such as slideshows. Each pattern follows a specific format: (1) the problem, (2) the solution, (3) when to use the pattern, (4) why you should use the design pattern, and (5) examples of the pattern in use. Created and maintained by Matthew Smith and Chris Pollock, Pattern Tap is a gallery of popular web-based User Interface components and design patterns such as slideshows and breadcrumbs. Pattern Tap allows users to create their own sets, and they now have over 7,000 user sets. There’s plenty of inspiration to be gained at Pattern Tap. This design gallery focuses on common web page components such as navigation as well as popular design trends such as Grid layouts. design|snips has over 30 categories so that you can easily find the design pattern/trend that you’re interested in. Users are allowed to rate each design featured in the gallery so that you can see what the overall consensus is with regards to the effectiveness and appeal of a design being shown. The UI Pattern Factory is a UI design library and gallery. The added extra from this collection is that they sometimes share videos in each entry to improve the description of design problems and solutions. Entries are further enhanced by user-submitted examples of the pattern, which they archive in their Flickr group: UIPatternFactory.com. A very comprehensive collection. Web Design Practices is a gallery of web design patterns such as breadcrumb navigation with very thoughtful and comprehensive write-ups on each design pattern, often including statistics and helpful resources about a particular website component. This information is good when explaining why design solutions have been chosen. Elements of Design focuses on particular components of a web design such as login forms and site navigation in the hopes of inspiring designers, as well as to highlight prevalent patterns for typical website needs and features. UI Patterns is a UI design library that follows a weblog format where each post is a design pattern and a showcase of it in use on a website or web application. A rather short, but good,overview of types of table UIs as well examples. I will add new ones as I find them, but so far this list is my new UI design toolbox. This Flickr collection maintained by Chris Messina is a showcase of unique and interesting interfaces on the web. The collection is very well-organized into sub-sets such as Drag and Drop interfaces and Calendar Views. In this Flickr Group, there are over 300 items that you can browse through to see interface design solutions and trends. Maintained by Luke Wroblewski, this Flickr set is a collection of images pertaining to web form design. This is an excellent and inspirational resource to have around for times when you are designing web forms. Peter Morville has a Flickr collection dedicated to gathering design to for effective search. For different types of search UI inspiration this an excellent resource. I will add more resources as I find them, but for now, this will fill my UI design toolbox quite well. What is the one brand you cannot live without (except Apple, Google and Ikea)? Last week, after the latest Apple 'Lallapalooza, juggernaut, mother of all product releases' event for the Ipad 2, I began to think seriously about brands. I found it interesting that a brand (Apple) can command such a following for a product release. How do such brands develop such passionate followers ? Note: for the record I followed the release myself so partially this was a bit of self introspection. I started to think about the brands that are important to me and realized the the list was quite long. I started to wonder what brands other people felt strongly about. To get a more realistic idea of what these brands could be, I conducted a very unscientific study where I surveyed my friends on Facebook and my Twitter followers (863 as of this writing). I chose to exclude certain dominating brands to get a better idea of some of the smaller brands in peoples lives. If we look at the list we can see that it covers a wide range of consumer products with a few brands were mentioned more the once. Flickr, the photo-sharing site was the brand with the most votes (3). Next on the list, with two votes, we have Lego and Fender Guitars. Lego can be explained by the large number of my friends that have children at the moment. A bit of a surprise is Fender, the guitar manufacturer. Apparently, Fender products generate a great deal of passion from it users. Pod-coffee (Nespresso and Senseo) and Public Service Television (BBC and SVT) where, as a category, also voted for more the once. So we can say that my friends and contacts value viewing photographs on line via Flickr, playing with Legos, playing Fender guitars, drinking good pod-coffee and viewing Public Television. Statistics: 5 responses out of 185 friends on Facebook. 9 responses from from a Twitter following of 836 persons. After many years at my existing employer, I have decided to move on. In March 2011, I will begin employment as an Interaction Architect at the digital consultancy Antrop in Stockholm. I am extremely excited about this role and look forward to working with this group of creative, experienced people. An very well done film describing Scott Schuman and his blog The Sartorialist. An excellent insight into creation, photography and storytelling. simple words clean images and a sensitive eye. A digital park bench - take a seat. My only prediction for 2011 is that it is going to be a BIG year for flying cars.